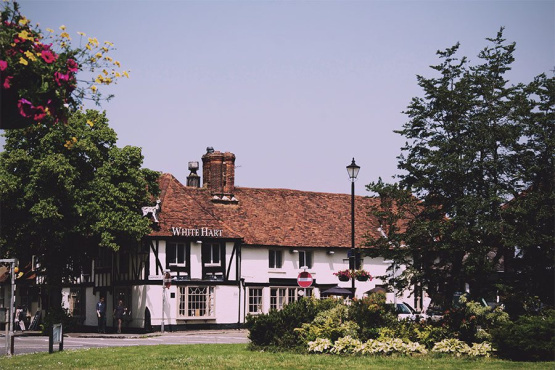 Here at Ashington Page we are fortunate to be surrounded by beautiful Buckinghamshire scenery and great travel and commuter connections; but what we love most about our area is Beaconsfield itself! This lovely old market town has so much character and is often included in lists of the nicest places to live. Research and analysis conducted by Lloyds Bank found that it can cost more to live in market towns, compared to neighbouring areas. South East England dominates the top 10 most expensive market towns with Beaconsfield being the most expensive. Beaconsfield is the first market town to break above the £1million mark in terms of average property price. Henley on Thames and Alfresford in Hampshire are the second and third most expensive market towns with average house prices of around £830k and £540k respectively. Beaconsfield also carries the largest house price premium with homes costing 161% above the county average of £402k. This figure is slightly skewed by some of the more densely populated areas of affordable housing in the Buckinghamshire. According to the research, typically market town property has grown by 21% in the last five years to an average price of £280k, which is nearly eight times the average gross earnings of a full-time worker in England. Property prices are influenced by a number of things and Beaconsfield is lucky to have some of the most desirable qualities people look for in a location to set up their home. It is close to the motorways with road access to London, the Midlands and the North, we have quick and easy train links to London which is perfect for commuters. There is also a good mixture of old and new properties with a busy town centre boasting chain stores and independent boutiques as well as supermarkets for everything you need. As if that wasn’t enough you also have the sprawling countryside and the Chiltern Hills right on your doorstep. We love it here and while we may not all live in Beaconsfield itself, our whole team are from neighbouring areas such as Amersham, Bourne End, Hazlemere and Marlow. So if you are looking for a property in Beaconsfield or the surrounding areas make sure you speak to one of our team on 01494 680018 or send us an email and we’ll get back to you asap. You can also find us on Twitter and Facebook to keep an eye on all the latest on the local property market as well as community news.